Check out the photos from Music Media 2008 - the biggest Polish music gear show. Tom Fulara performed with Be3 project at the main stage. The new link system (called "mod rewrite") have been implemented. We have now short and easy to remember links. For example adam.fulara.com/gear is the Gear page, adam.fulara.com/tom is the Fool-X trio bass player page. Check out the pictures from Autumn Guitar Festival in Slupsk. Check out the photos from the Old Music Festival 2008 in Zabrze. Check out the Adam's computer game called "Fingerboard Master" for fast learning of the fretboard. Enjoy! Sep 19, 2008 - Magdeburg - gig alert! Gig alert! Fool-X trio will play the gig in Magdeburg (Germany) 18.10.2008 (saturday). Adam Fulara and Tom Fulara will make guitar and bass workshops before the gig. 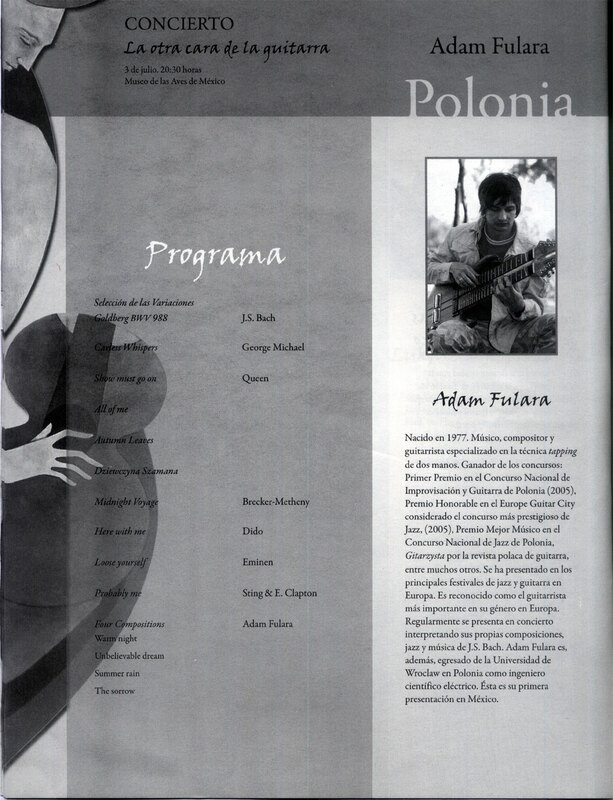 Adam Fulara has performed at the Classical Guitar Festival in Olsztyn 2008, with many famous classical guitar players like Marcin Dylla. Check out the photos. 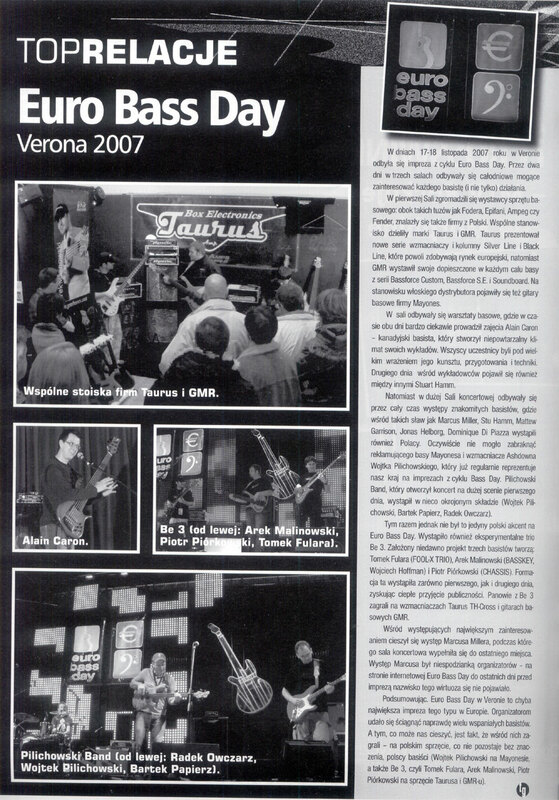 Famous Polish guitar player - Mark Raduli has performed with the Fool-X trio at the JaZZlot Festival 2008, see pictures. What does Paul Gilbert and Tommy Emmanuel thinks about Adam Fulara? Check out the Critical Acclaim section. Check out the new YouTube video of Fool-X trio. Composition of Tom Fulara called "Tumba". Recorded by Peter Pawlak at the gig in Warsaw (Polish Tour, February 2008). Adam Fulara will play at the Tommy Emmanuel Festival 2008 in Rietberg (Germany). Adam will play Aug 16, and together with Tommy at te final event of The Festival Aug 17. Tom Fulara was one of the teachers at "Koneckie Warsztaty Muzyczne" Music Workshops. Check out the photos from this workshops. 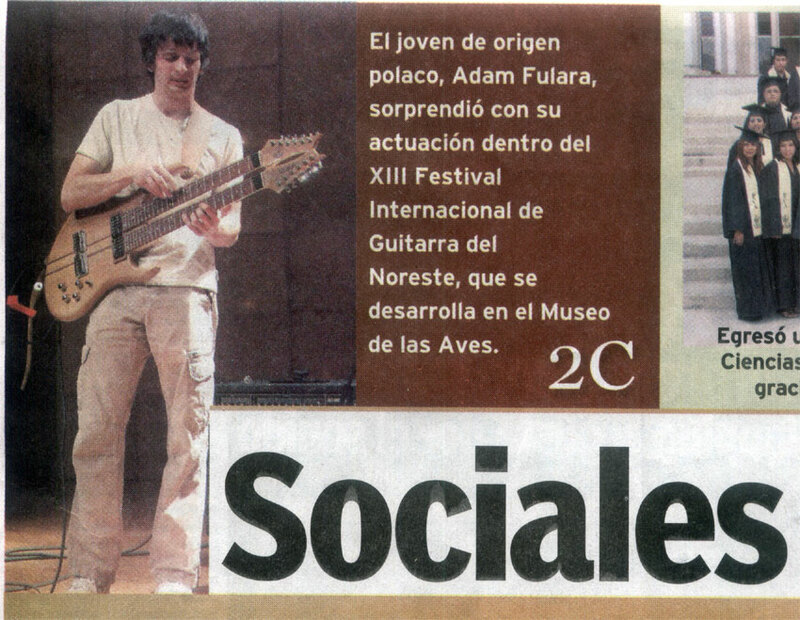 Check out the photos from workshops of Adam Fulara until XIII Internacional de Guitarra del Noreste (Saltillo, Coahuila, Mexico). - Leader of Culture 2007 Prize for A. Fulara. May 26, 2008 - Adam Fulara and "Gitarzysta"
Adam Fulara will be and editor of Gitarzysta Magazine. 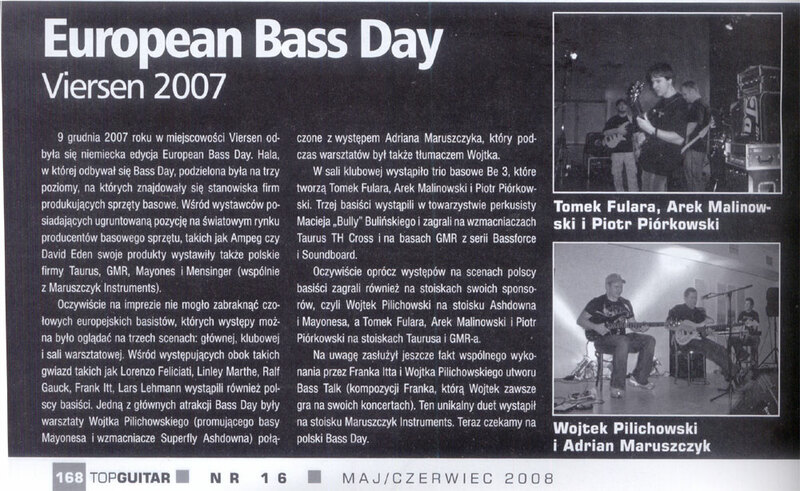 It's Polish Magazine for Guitar Players. 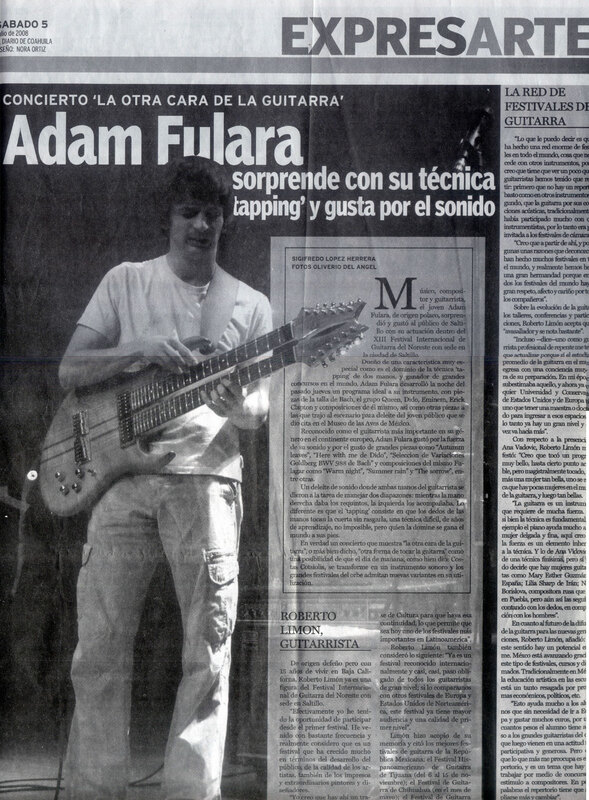 Adam Fulara is an author of tapping workshops and articles. 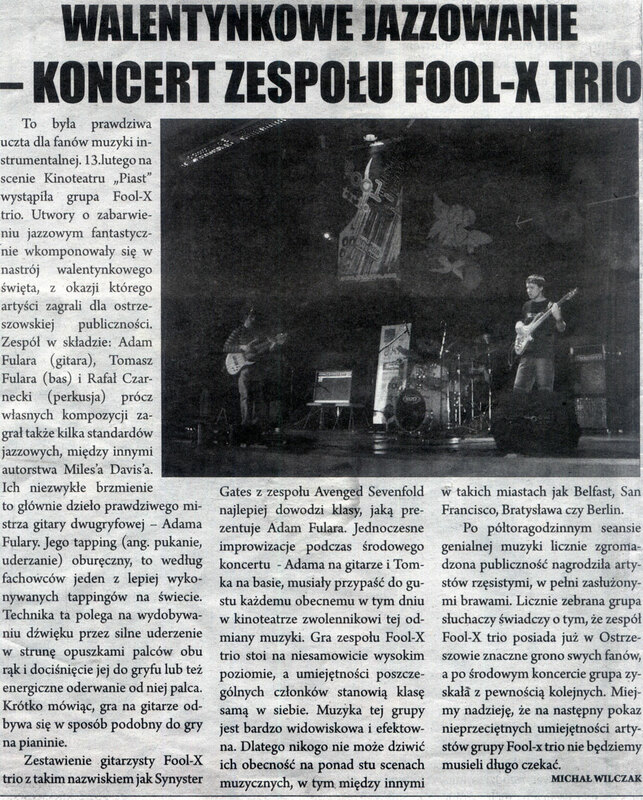 Check out the the pictures from Fool-X trio gig in Strzyzow and another from gig in Oswiecim. Check out the second part of pictures from the Fool-X Tour 2008. Tom Fulara with Be3 project has performed at the MusikMesse (Frankfurt, Germany) at the GMR and TAURUS booths. Check out the photos from this event . The Interview with Adam Fulara (by Joanna Majorkiewicz) has been released on the TV Neostrada. Check out it online here: http://www.neostrada.pl/. Adam Fulara uses stereo set APS 150 + AMS 150 from BOX Electronics. Best choice for two-handed tapping techniqe.